. LionPath, Lion Place, Secret Places of the Lion.. Here is an Atlatal genetic projectile, djed just waiting to thrust your biomagnetic pining thru light speed into stars. ode to Charles Muses, Museos, "LIONPATH" book , timing the worming of Pluto into the Pineal. ode to "Secret Places of the Lion" book noting fearless entry into the Lion-nine doorways, Sphinx/ Cat-mandu... Sehk-met. ode to the Hancock LEO horizon point of Giza's starmapping. regarding the origin of the term Hiburu / Hebrew. I believe from sources like Morningky and Collier, the term refers ..in the original Orion dialect (our word ori-gin MEANS linked to ORION) to the 'crossing over' of the blood lines of the NIB.. (Nib-elung) as human / bird DNA with the URU, which was the Draco or Dragon.(Reptilian).. Il-URU is the aboriginal name for the EL place of the URU. (Ayers Rock), place of El or phase shift or Shem. See also El-ims sport... in Pennsylvania near the Eye of the Eagle (../eaglemorph ).. This was the place where the "El's" (El-ohim) could make their 'EL' or phase shift thru light speed from circle to line in their DNA, were 'ported'. Land embed geomantic fold nesting G-land. The place where shaman could use the folding foci of the eye of the eagle to see thru the heart of the sun. Ur is Orion/Sirina for 'Light", H'UR-tak = light from Orion. UU is puure tone, gone thru RR turn, back into Light/UU. Uru. Those Drac's great worms able to navigate their genetic waveform thru lightspeed's slipknot wormhole, and emerge with memroy/ UR intact. Ea (ANnunaki -for whom EArth was named) was called EL, whose parents were An & Annu.. Enki and Enlil were sons of Ea or An.. This is not unlike William Buehler's reference to the Templar dialect for those genepools able to enter our time wave as Sol-arians. Literally sun gods. (all this in reference to HOW to enter EYE of the SUN ../eyeofthesun , by inhabiting/embedding magnetically the HEART OF THE SUN : ../heartsun ). This was THE skill of immortalizing / enSOLment. Clearly wormhole access is the issue, not insulting Hebrew's about their Reptilian genetic origins. The Hebrew Rabbi's are only equally guilty in not informing their sheep about their ET & Reptilian origins AND quarantine, as the Pope sitting on the pile of gold robbed from the murder of 1/5 the women in Europe/inquisition. This all fit the Sitchen-esque sense of Niburu the place where the Annunaki brought their gold mining gene splicing operations at Edin. Ea/An's sons Enki vs Enlil (Angry Yalweh) had different ideas about whether to immortalize their Adama (clones), with the Leonine. This Eden-ic Arab/Isreali legacy of the war of the brothers, began BECAUSE THEY CAME FROM DIFFERENT MOTHERS. Their fractal wormhole pointed to different different embedding vectors. 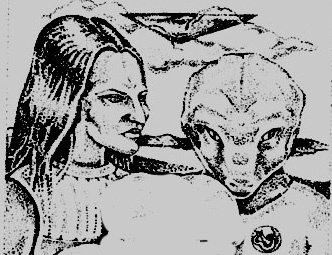 Portions of the Annunaki line joined the interventionist philosophy (no allegiance to the PRIME DIRECTIVE.. autonomy for local genepools)... see book pictures of Sirian Annunaki, Dracos, Zeta-Grey-Rigelian etc. See Enlil. The LIONINE (Enki? founder of Atlan-tis/haven from Enlil..place of Atlatal-projecting...dna) hi side of the Annunaki blood is interestingly commented in Anna Hayes (see my Amenti article, her Amenti book): The Sphinx was built around 50,000 years ago to remind the rebelling interventionist Annunaki that they DID NOT SIT ON THE SHOULDERS OF THE LION+INE sacred Ancestors of the An's. (Lion people were the star elders of the Annunaki like Birdtribe Adawi -Enochian Ophaninc script people...were the star elders of the Cherokee..). Secret Places of the Lion (George Hunt Williamson/Brother Phillip), meant enter the places by holding no smell of fear/no resistance to spin. 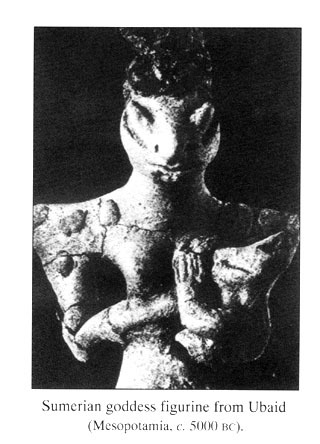 ..
"The SERPENT and the EYE" ("wink, wink") - Archeologic Evidence Linking Reptilian Origins to Annunaki / & Biblical History? attempt to preserve their history and teachings for future generations. concept that came originally from the Iranian religion of Zoroastrianism. the principles of knowledge and wisdom. common belief among the peoples of ancient Iraq. SERPENTINE symbolism. Di Cesare then showed slides of other "guardian"
thought to be the givers of ancient knowledge and wisdom. me that he is preparing a book on the subject to be entitled GODS OF FIRE. and development of the Watchers of Eden. So until next time, Ciao for now. Eden - The Andrew Collins Web Site. contend was a bipedal or hominid reptile of great intelligence. A "Wink of the EYE" = "There is a Conspiracy in motion". "J.B.III"
I and some other 'Rastafaris" online recently. GIZA and the Ancient EThiopi Ag'Azi? works that we will further outlne. prove and confirm our initial postulates. (EGZI'/eGZee') of the NATION (Bihêr), CHOSEN (bihwir) and LIGHT (Birha). Now RASTAFARI is about the PERFECT "heartbeat" (the substance of "WE"
"blueprint" for the optical and magnetic waves to embed and "create"
are doing and seeking to accomplish. Remember the saying about the "stone"
recapitulate... Mek we do it! and these are the paths of Osiris, they are in the limit of the sky. > I remember the feeling in tut's bones as we sent magnetism into the stars, from the map on the land..
> Why does Giza point to the galactically self aware implosion wormhole in the heart of Orion? and why is SUSTAINABLE navigation there always Glandular? 1.) it still may convey a very important educational principle about how proper "fractal" morphic projection of large scale star magnetics on landscapes allows inner glandular emotion magnetics to unpack and inhabit those stars using landscape as slingshot lens by fractal morphic resonance. c.-survival of solar magnetic implosion/suction into peshmehten/nexus. I consider the recent breakup of Amargi Hillier and Larry Hunter to need a bit more context, in light of what I recently learned in Australia. I now deeply believe that indeed ------ and the lineage of Sadat in the Egyptian government have over the span of years engaged in a huge coverup of explorations under the Giza plateau. I believe they chose secrecy for the usual childish reasons of fear driven academia: "we immature kids need to formulate a complete theory of what we think we have tripped over and therefore 'own' before we can let any other kids in the schoolyard even look at OUR new playground." The level of detail coming out of the ------ reports defy any possibility of being simple fabrication. Clearly the Egyptian government was impressed enough with ------ use of the Sonic H'Iburu Flame Letter calls to allow him to access the sonic holography further in those sub-pyramid passages, plus of course his knowledge of new ground penetrating radar. To the naive, when the simple sonic symmetry of (implosion) ritual changes the air pressure in a room (Druidic etc. ), it literally "blows their doors off". ------ clearly is of the N'Iburu staff who were quite happy to call themselves (H'Iburu) priests, necessitating you pay their fee before making ANY phone calls to God. I personally do not feel it is efficient to locate access to centering force (God in the Fractal), outside your body (in a priest). Because it is disempowering. Exactly what leads to the present borg situation.... those same priests are themselves so unable to sustain the DNA coherence of time travel, they still need to abduct human teenagers to steer the ("time empath") chair at Montauk. So ------ participates in the global lie which is their UNSHARED continued exploration of that underground cocoon for soul launching, because of their complicity with the priests of fear and secrets. This offends the law of the universe (chemical degrees of freedom defines how much the chemist learns from his reaction, and how much the dreamer learns from the character in her dream.... SET THEM FREE!) . As a result the naive school kids of this Ea's earth are deprived of the pure principles of the library left here for them. I hereby call their bluff and dare them to speak the truth of what they have illegally (by natural law) hidden, by "stealing" their "secret" to release what is the REAL principle of that cocoon. When you "N'iburu" Annunaki arrive at a planet you have been able to achieve lifespans of tens of thousands of years by the technology of Gold eating and creation of perfect envelopes of capacitance arranged in 3D fractality (based on PHI). (Merkabic cocoon, chamber which turns gold power to ORMES/Manna/Spice). This makes cellular metabolism go to zero electrical resistance, and become sustainable. The upside is apparent technological immortality. The downside is the risk of long term glandular disempowerment if the technique of raising internal capacitance to fractality was technological instead of HEART electricity. Specifically this is not unlike what happens to human glands when you come to rely on psychoactive drugs instead of your own gland juices to launch ecstatic superconductives from synapse to the "molecules of ecstatcy". (Terrence McKenna may not now be able to make the juices of passion HIMSELF.) So the Draco's rush now requires eating HUMAN glands instead. There is colorful irony in friend Amargi and Hunter both still emailing me for the location of Leo/Regulus in the fractal projection of stars on Giza. The meaning is that the "Secret Places of the Lion", are the places into the map where only no smell of fear (which the Lion sniffs out) may enter. Absence of fear is the total absence of resistance to spin which only TOTAL EMBEDABILITY (compassion) permits. So by looking for the El Dorado, doorway into golds fractality, on the land they seek the place where icy still centering holds lightning (compression) with no heat. (scale invariance.) Mind creates by the fractal creating still centering which permits compression in the ether. 2. fertilize self aware evolution (in DNA braiding by recursion). Until such time as the Earth's electrical cocoon would stabilize embedably, it was necessary to have a micro electrical cocoon in which aura projection could still unfold nondestructively. Otherwise, there would begin a discontinuous relationship with the inner lucid dream magnetic wormhole leveraging. This would mean a weakening of the NAVIGATOR. If the star navigator does not have soul (inter lifetime) memory, his wormhole steering skills get dizzy. This could entail relegating them to traveling in heavy metal, a definite sign of being low end. This was the function of the giza cocoon, similar to the one on Mars.. Total Recall, and "Two Thirds" (book by Myers and Percy, Aulis Press, London). is this where star births become sustainable by squirting in the recursion of awareness at stellar scale (Ophanic birthing)? today is the 22nd of April, and I have been watching ../lionplace for you to superimpose the sacred geometry over the stars of the Orion Constellation as per my instructions. I have already located all the terrestrial counter parts of Orion and they are the same as the celestial picture of orion. I made a terrestrial sacred geometry drawing that I superimposed over the Duat located in Egypt. Very interesting. I see you have not lined the Sacred Geometry up with the stars. the stars are in a N/S axis relative to the earth and the sacred geometry should be too. the GP is lined up to true north also, so you have all three north and south. Star Alnitak is bearing 180 deg. from the pyramid. Picture the interaction in your mind, Light entering a manufactured machine or device equivalent to a black hole. Plus if I were a particle or wave of light coming from The Orion Constellation, the star Alnitak in particular, and I wanted to enter the shaft of the "GP" that leads to the "Kings Chamber". the technology of this system and the way it functions amalgamates humanity with the light. When it is in alignment, a time when there are no refraction errors, the time is Local Apparent Noon of the body passing south, 180 deg., of the Great Pyramid. Think of it like this: look at a star through a straw - now send your thoughts to that star, that's easy to do; now figure your thoughts got there and were reflected back. Could you design something that would receive your thoughts back to your mind but instead of a leaving through the straw you must now come back through it. this e-mail should help you see and understand my theory and discovery, if you didn't already know this.